Singapore has one of the most migrant-heavy populations, with non-residents making about 30% of the country’s total population. With a country that has little natural resource, nurturing and cultivating its human resource has naturally become a priority for the small nation-state. That said, citizens have begun to raise concerns about the high number of foreign talent competing for jobs with locals; and this has consequently resulted in stricter, more stringent Singapore foreign labour policy. Effective from 1 August 2014, employers whose companies have more than 25 employees have been required to advertise job vacancies on the electronic Jobs Bank portal for 14 calendar days, before submitting an application for an Employment Pass (“EP”). To know more, view our infographic about the Fair Consideration Framework or if your company needs to advertise job vacancies on JobsBank. 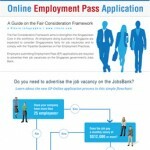 The Jobs Bank Portal is exclusive to Singapore citizens and Permanent Residents only; and aims to give locals a slight advantage over foreign nationals, while encouraging employers to consider more local applicants. Quotas have also been set by the MOM for local companies to adhere to, to ensure that companies are not over-reliant on foreign talent and are sharing the knowledge of their industry, as well as industry-specific skills, with members of the local workforce. Through these measures, it is hoped that the collective quality, knowledge and skill-sets possessed by the local workforce will be substantially increased, as employers invest more in training, retaining and enhancing the skills of their local employees. 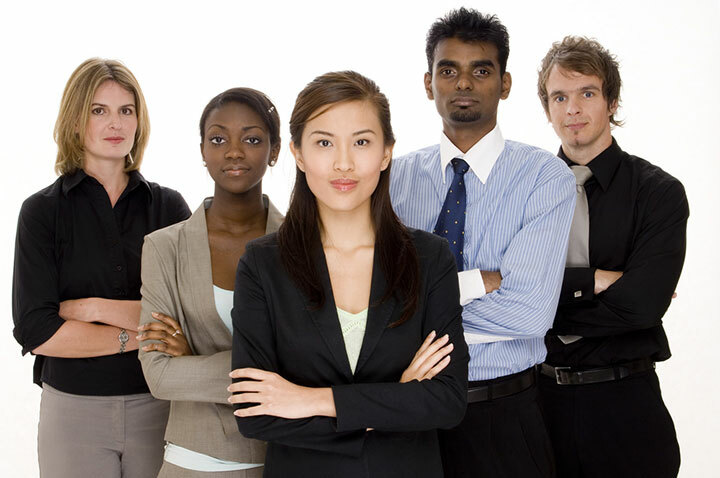 Employment Pass (“EP”) holders are foreign professionals who work in a managerial, executive or specialised job; and typical hold at least a good university degree, professional qualifications or possess specialist skills. Hence, this group of workers would therefore be seen to compete directly with local fresh graduates or mid-level executives; which has been the largest area of concern, as the abundance of foreign talent has been seen to create a downward pressure on salaries and opportunities. As such, Minister Lim Swee Say recently highlighted that MOM would be implementing more stringent review processes, which would require potential EP holders to have acceptable qualifications from reputable universities. In addition, in response to the worrying popularity of “degree mills” that churned out fake or sub-standard qualifications, MOM would be conducting more stringent checks based on global and country rankings, as well as enrolment standards. Indeed, such degree mills have come under heavy criticism of late, with even government bodies falling victim. In April 2015, the Infocomm Development Authority of Singapore (“IDA”), a statutory board that oversees the development of information technology and telecommunications, was brought under the limelight for having an employee whose master’s degree was allegedly obtained from a degree mill that had been forcibly closed in the United States by a court order. More importantly, MOM has also raised the minimum salary requirement for potential EP holders; and companies are now required to pay them a monthly wage of at least S$3,600 (effective 1 January 2017). This is to address the fact that many foreign job seekers from the nearby neighbouring countries are often more willing to accept lower salaries as compared to their local counterparts who possess the same level of qualifications, mostly due to the fact that their countries of origin have more affordable standards of living, as compared to Singapore. Previously, EP holders who wished to bring in family members would need to earn a minimum salary of S$5,000 per month. Different family members would qualify for either the dependent’s pass (“DP”) or a long term visit pass (“LTVP”). With effect from 1 January 2018 however, the minimum salary criteria has been raised from S$5,000 to S$6,000 if EP holders wish to bring in dependants. For EP holders who have already brought their families to Singapore, this means that they have more restricted job mobility, as a change in employers will mean that their family members will be subject to the new criteria. For employers, this change may mean that EP holders will be looking for higher salaries, particularly if they have family members whom they wish to bring over. In conjunction with MOM’s more stringent review of qualifications submitted by EP holders and the implementation of quotas to restrict the ratio of foreign workers to local workers, both potential EPs and their prospective employers will find it more challenging. With a DP or LTVP, one can apply for a Letter of Consent (“LOC”), a document issued by the MOM, which will allow qualified DP / LTVP holders to seek employment or run his or her own business in Singapore. 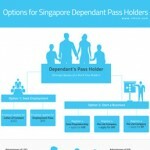 To know more, view our infographic about the options of Dependant’s Pass holders in Singapore. 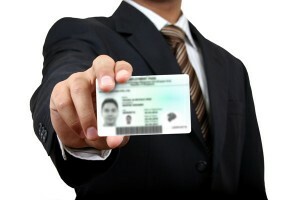 A DP holder may work in Singapore with a Letter of Consent (LOC) from the Ministry of Manpower. Alternatively, a DP holder may opt to start a business in Singapore, in which case registering a sole proprietorship or a private limited company is the next step. Option (A) is typically for those who have an existing skill set and wish to enjoy the assurance of a stable income. A key point to note for both LOC holders and their employers is that LOC holders are not considered as foreign employees and prospective employees will therefore save on government levies and will not need to worry about the quotas set by MOM. A sole proprietorship is the simplest business structure, where it has only one owner who is responsible for all decisions, assets and liabilities. Given its simplicity, a sole proprietorship is easy to set up, easier to manage administratively and has fewer compliance requirements to adhere to, as compared to any other company. Individuals who opt for this would typically be freelancers, tuition teachers or those who set up simple e-commerce businesses. Bearing in mind that sole proprietorships are not eligible for many tax incentives in Singapore; and that the tax charged is at the individual tax rate, this may not be ideal if there is substantial levels of profits. For those who anticipate that they may wish to engage in a higher level of business activities, setting up a private limited company may be the best option, as it offers more opportunities in terms of funding, has limited liability and can enjoy the tax incentives offered in Singapore. That said, a private limited company does come with more statutory obligations; and business owners will have to keep themselves updated with the changing regulations, as well as the ongoing compliance regulatory obligations that they should comply with. Certainly, with more of these measures being put into place, it shows that the Singapore government is attempting to improve the quality of foreign talent and would prioritise applicants “who can bring the expertise and know-how to complement and supplement what we have in Singapore”, whilst trying to relieve some of the downward pressure on salaries that foreign talent is perceived to have introduced to the labour market. “We are managing the growth of foreign manpower at the pace in tandem with the growth of local manpower,” said Mr Lim Swee Say, current MOM Minister. When asked about what the government was aiming to ultimately achieve, Mr Lim explained, “Ideally, (a situation where) local and foreign PMEs are not competing for jobs in Singapore, (but one where) Singaporean PMEs are working together with foreign PMEs to help us compete for jobs with the rest of the world”.